Which 2019 Ford Escape Is Right for You? 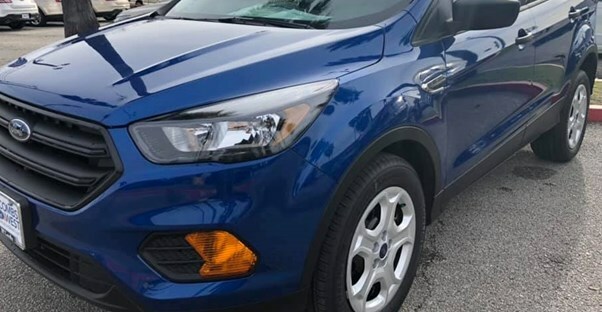 The 2019 Ford Escape is a fantastic choice for small families or even weekend warriors who would rather spend their weekends by a lake with no cell reception. Regardless of why you’re considering the Ford Escape, you’ll be happy to know that it has a five-star crash test rating by the National Highway Traffic Saftey Administration. With four main trim levels to choose from, this breakdown will help you figure out which one is right for your needs and price point. The 2019 Ford Escape S is the least expensive model, but it packs plenty into its starting MSRP of $24,105. This SUV is perfect for most buyers, and one reason is the gas mileage. Drivers can get up to 21 mpg in the city and 29 mpg on the highway. Those are solid ratings for the compact crossover segment. On the inside, the Escape S comes with enhanced voice recognition, so you never have to remove your attention from the road. But that isn’t where safety stops. Families will be happy to know that it has curve control to help reduce the risk of turning over. It also comes with a Safety Canopy System, a rear-view camera, and a Belt-Minder for the driver and front passenger seats. The 2019 Ford Escape SE starts at $26,500 and has just enough to stand above the S model. There’s a slight boost to fuel economy for the SE. Drivers will hopefully experience up to 23 mpg in the city and 30 mpg on the highway. This is thanks to a 1.5-liter EcoBoost engine with Auto Start-Stop, which with fuel efficiency and vehicle emissions. The inside also experiences some upgrades, including features like 8-way power driver seating and dual-zone automatic climate controls. These auto/power settings allow for more enjoyment from your Escape SE. This is also the first trim to introduce a remote start. The Escape SE also has a four-wheel-drive version available with a starting MSRP of $28,000. The 2019 Ford Escape SEL offers a bridge between the Escape SE and top-tier Escape Titanium. It starts at $28,445 and uses the same 1.5-liter EcoBoost engine as the previous trim level. The biggest upgrade differences can be found on the interior. For a more luxurious feel, it comes with leather-trimmed front bucket seats and a leather-wrapped gear-shift knob. The Escape SEL further replaces enhances the Sync 3 with 911 assist. That isn’t to say the exterior doesn’t have a few changes which are worth noting. A power liftgate may attract some drivers. It also features daytime running lamps and heated glass on the side-view mirrors for colder temperatures. The Escape SEL also comes as a 4x4 powertrain version with a starting MSRP of $29,945. Lastly, the 2019 Ford Escape Titanium is an amazing SUV starting at $32,620. This trim upgrades the engine to a 2.0L Twin-Scroll EcoBoost, and it also makes driving easier with the addition of a Blind Spot Information System (BLIS) with optional Cross Traffic Alert. This feature can help to alert you that a vehicle is in your blind spot before you attempt to change lanes. The interior now includes driver seat memory. The infotainment system uses the same Sync 3 variety found in the Escape SEL and adds a 10-speaker audio system from Sony. The Escape Titanium is definitely worth the investment for anyone wanting to ride in style on a budget. The Escape Titanium is also available in a 4X4 version with a starting MSRP of $34,120. Which 2019 Ford Edge Is Right for You?